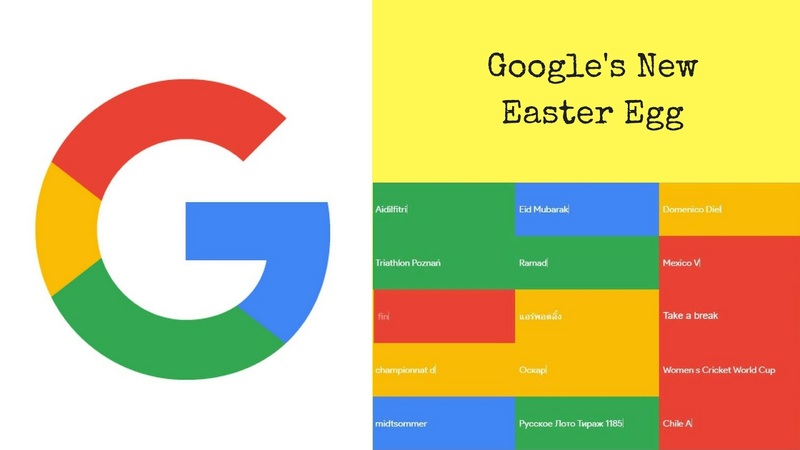 (A GIF screenshot from the page) This is a showcase of trending keywords or terms that people search on Google the most. Someone called me and I was away from my laptop for a while. When I returned back I was surprised to see my father playing a game on the Google’s about us page. Literally, I was shocked! 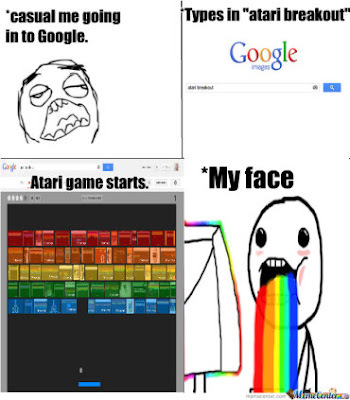 It was some Google-themed Atari breakout game. I asked him that how did he start playing it and his reply was so unsatisfying. He justified that any accidental click launched it and he couldn't even recall exactly where he clicked. It intrigued me and so I began to find some way to start it. After carrying out trial and error method, I finally found it. I googled to lookup any blog or website informing about this new Easter egg but I found none. So I took the initiative to write and publish one. OK. So, how to play this Atari Breakout game? Note: Currently it only works on computers and not on mobile devices. Search zerg rush and see what happens. Search pacman and play the pacman game. Search flip a coin and Google flips a coin for you! Google Teapot. Follow this link – https://www.google.com/teapot and tap the teapot there to pour tea. To spin a fidget, search for spinner. Don’t get bored while your internet connection is wobbly a bit or not working. Hit the space-bar on the page where a little dinosaur is seen to be standing quietly. The T-Rex game starts. Hit the space-bar again to save the dinosaur from colliding with obstacles. You can play it always by going to chrome://dino/ without having to deliberately disabling your internet connection to enjoy it. Play Tic-Tac-Toe. Search tic tac toe. Want to play Solitaire, search solitaire. Try searching roll a die. Recursion is a programming term meaning a function that calls back itself. Try searching recursion. On searching google in 1998, it will take you back to a bygone era and show you Google’s 1998 version. Want to roll a barrel? Try searching do a barrel roll. If you found this post to be interesting, then kindly share this on your social circles. Comment down below if you face any issue. Good one yaar!! Was interesting!! Very satisfying blog. Keep it up!!! Awww! Touched my heart! Thanks, Shreya for reading my blog each and every time I ask you to read. Discover more such awesome things.waiting for more. post aat ɑt this рlace.